Through the years, Trane has designed and developed the most complete line of Packaged Rooftop products available in the market today. Trane was the first to introduce the Micro — microelectronic unit controls — and has continued to improve and revolutionize this design concept. The ReliaTel control platform offers the same great features and functionality as the original Micro, with additional benefits for greater application flexibility .Trane Voyager delivers a product that provides exceptional reliability, meets stringent performance requirements and is competitively priced. 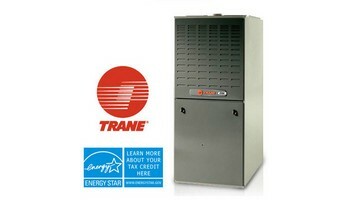 Trane Voyager features cutting edge technologies: reliable compressors, computer-aided run testing, and Integrated Comfort Systems.Best-in-class energy efficiency. Truly customizable comfort. Available simultaneous heating and cooling throughout a building. All with small footprints and multiple installation options for a wide variety of building types. These are just some of the benefits of Trane Advantage VRF systems, our newest heating and cooling options that bring a new level of choice to our customers. Trane Advantage VRF systems can be perfect as stand-alone heating and cooling systems—or perfect as supplemental heating and cooling systems.